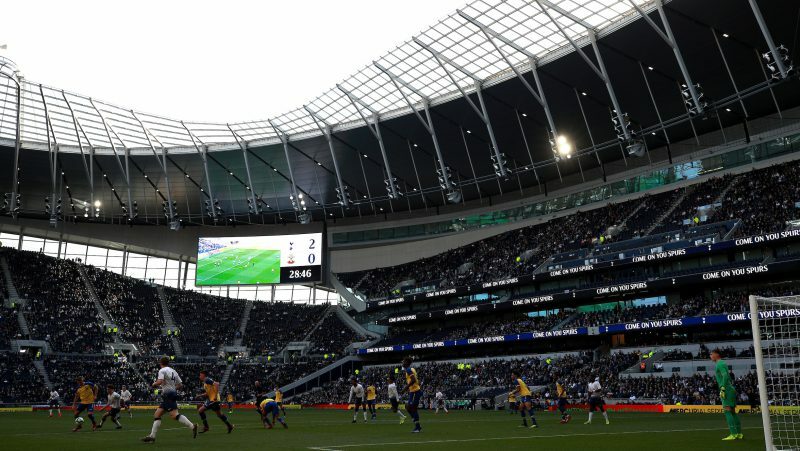 Tottenham Hotspur have played just once in their new stadium at White Hart Lane, but they are odds-on to lose in the second game. Tottenham officially opened their stadium with a 2-0 win over Crystal Palace, but their second game this week is somewhat a tougher looking proposition as they host Manchester City in the first-leg of their Champions League quarter-final clash. Whilst Spurs are fancied to avoid any league defeats at their new home for the rest this season, they are odds-on to lose to City. Betway are offering 4/5 for Spurs to finish with a flourish and win their final four home games against Huddersfield, Brighton, West Ham and Everton. But they are also quoting Man City at 8/11 to beat them in what would be only their second match at the new ground. Betway’s Alan Alger said: “Spurs have had a dream start at their long-awaited stadium debut, overcoming Crystal Palace 2-0, and we go just 4/5 for them to make it the rest of the Premier League season without dropping a point at their new home.